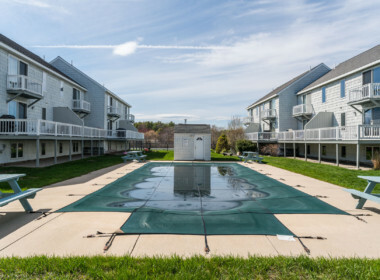 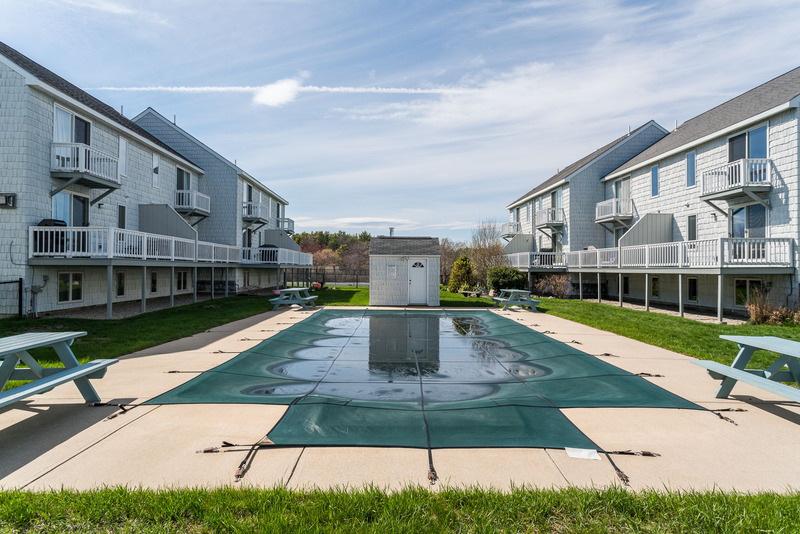 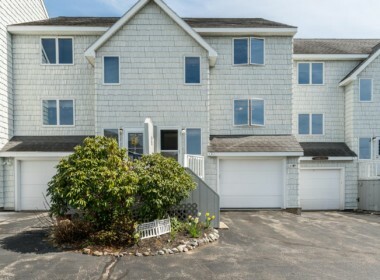 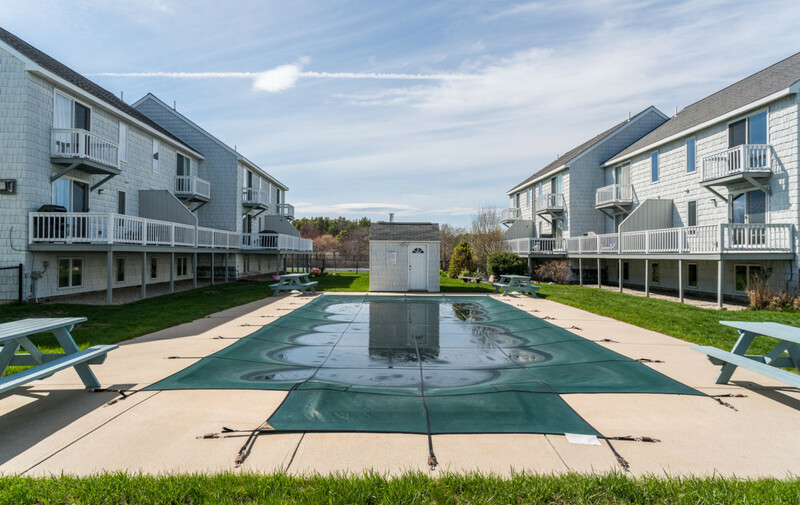 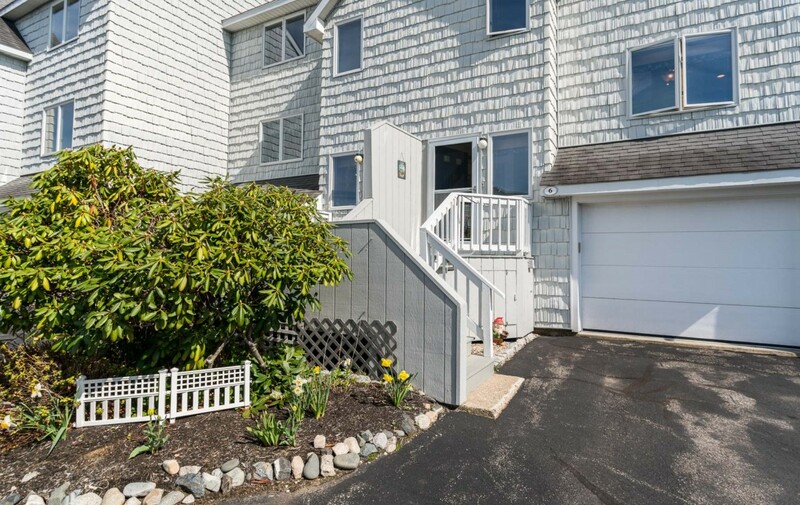 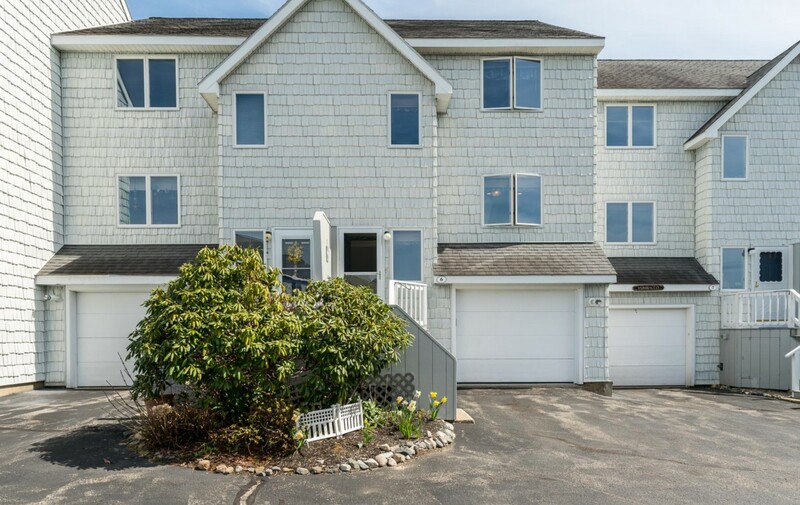 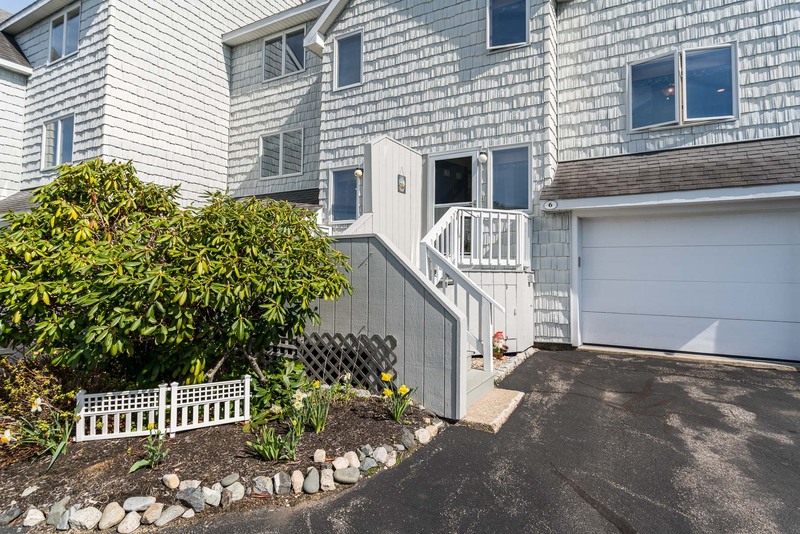 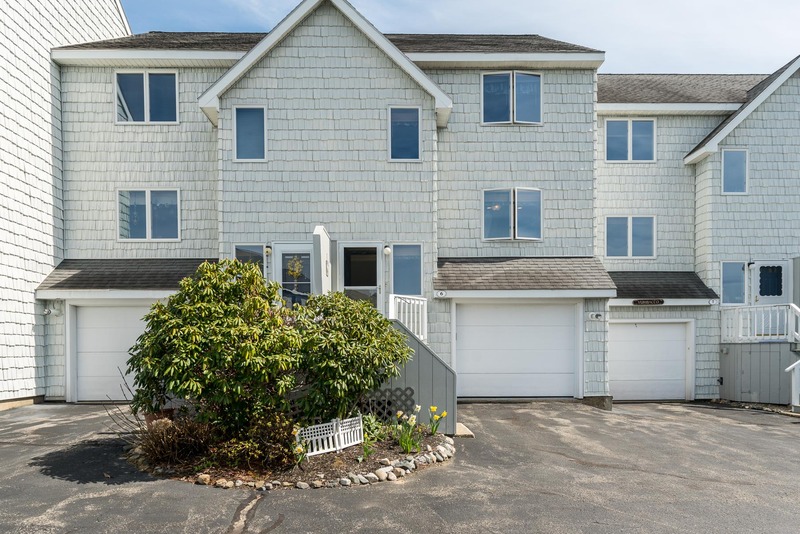 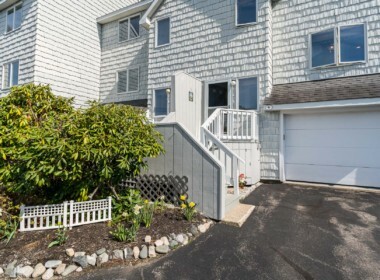 With a great location between Long Sands Beach and Short Sands Beach, this townhouse condo has it all – heated swimming pool, tennis courts and a garage. 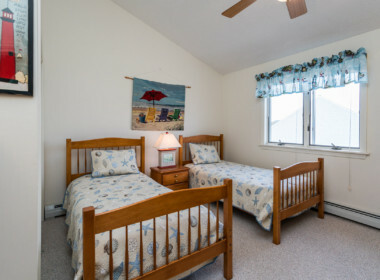 Inside, there are 2 bedrooms, 2.5 baths. 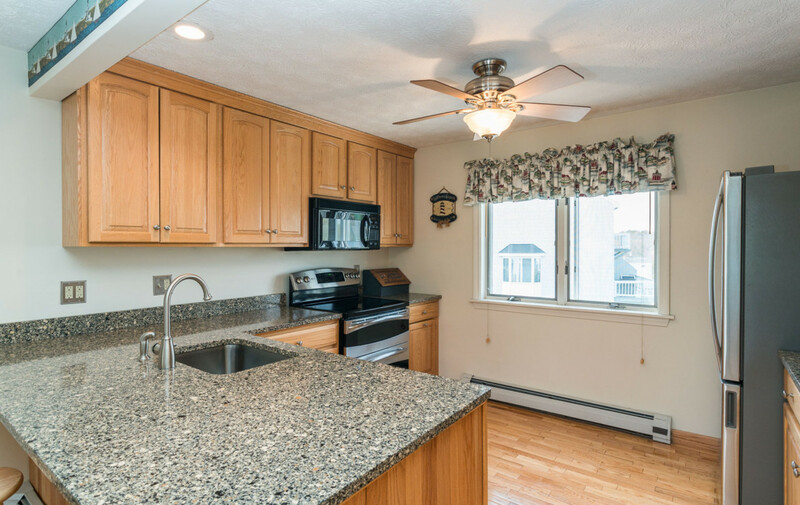 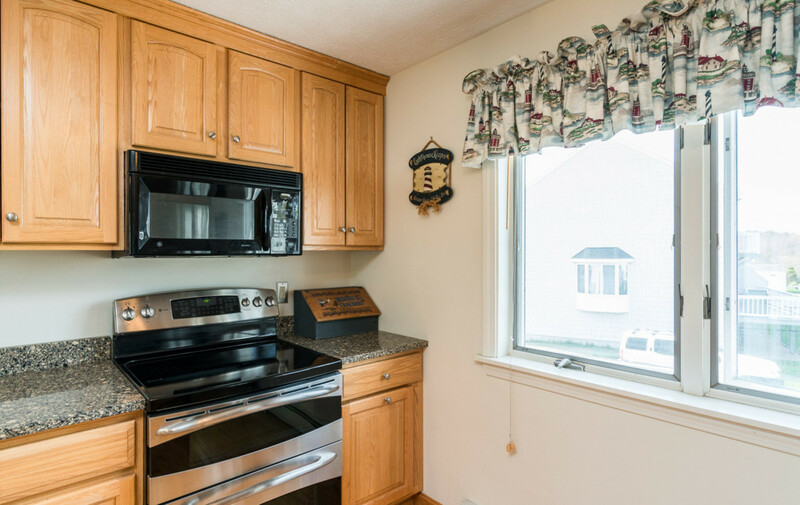 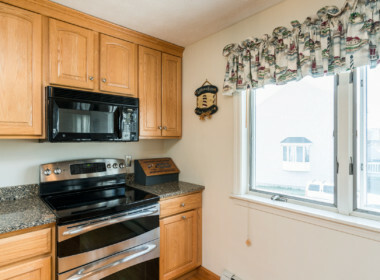 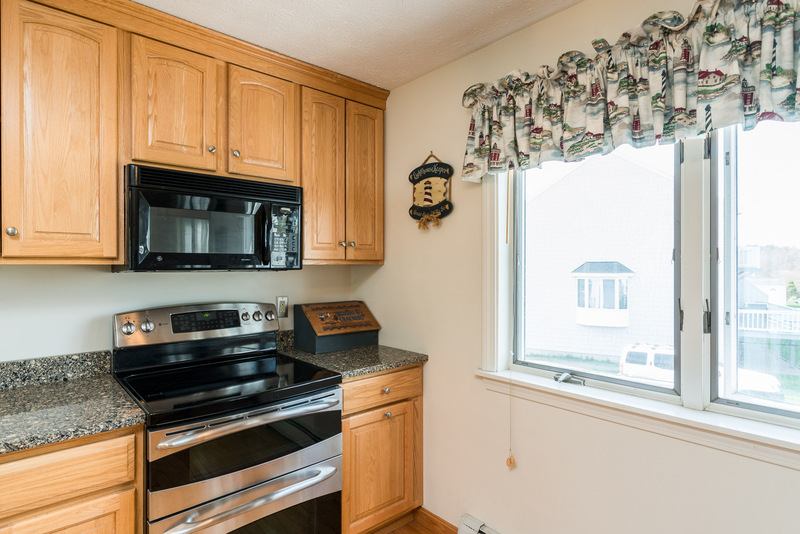 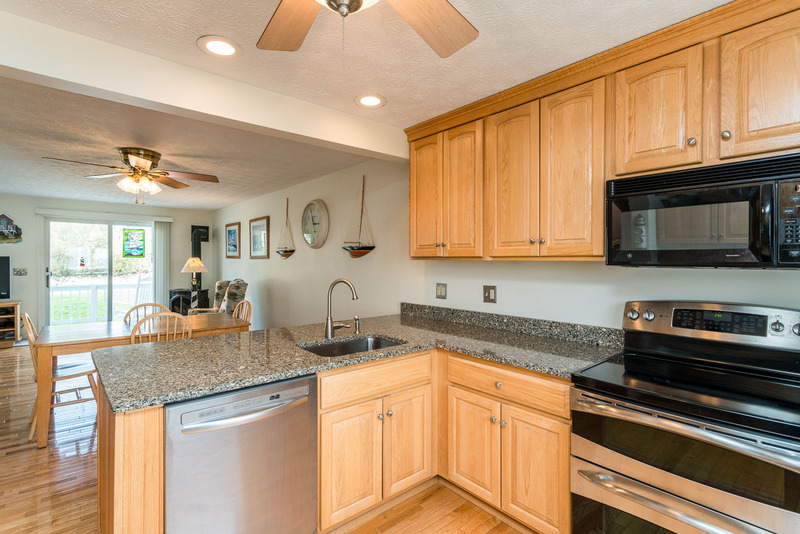 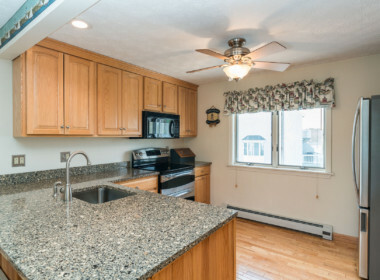 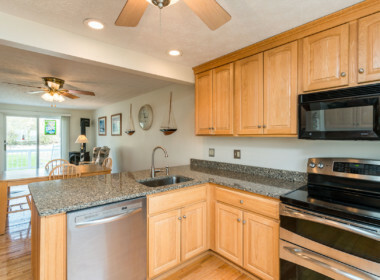 The quartz and stainless kitchen is a recent upgrade, as is the free-standing gas fireplace. 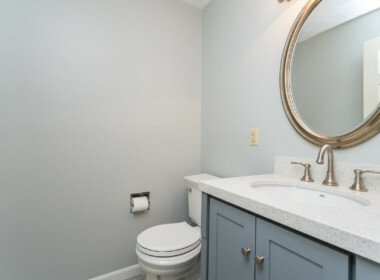 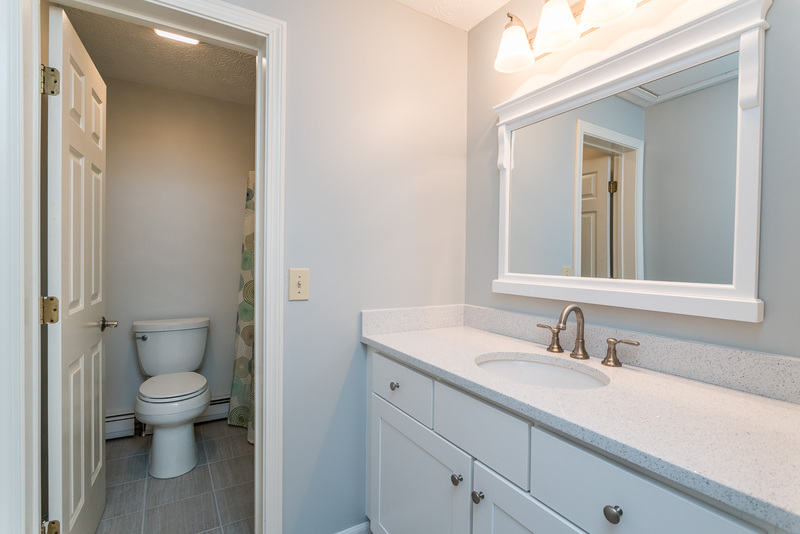 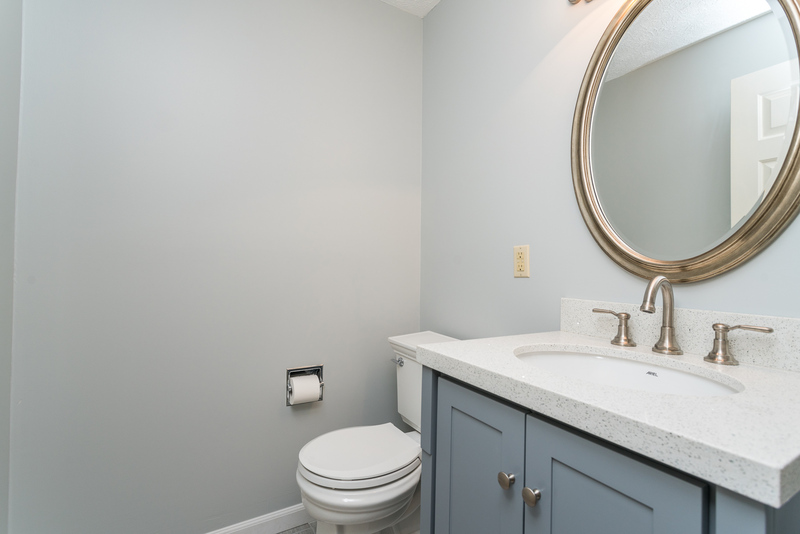 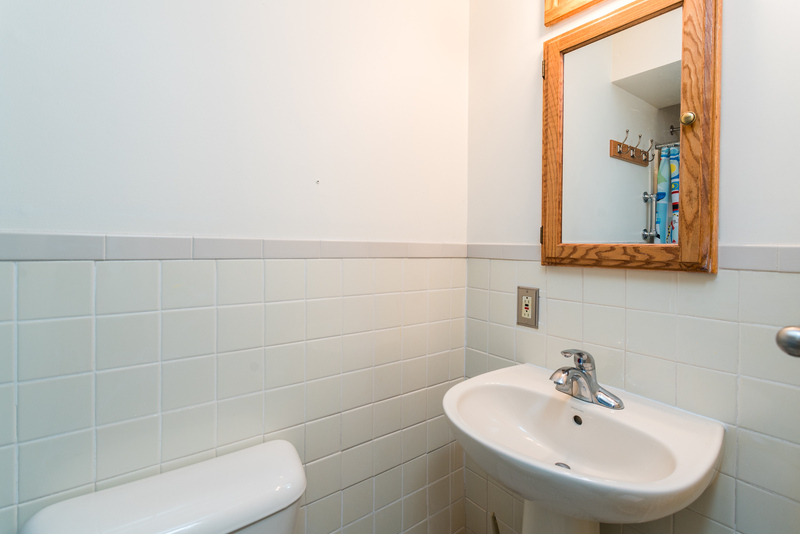 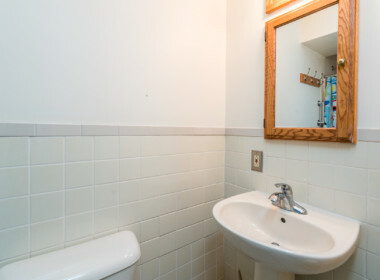 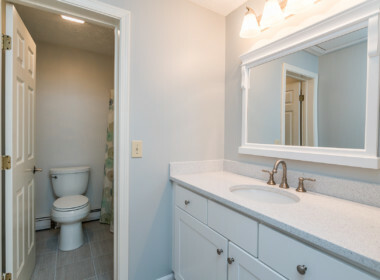 In addition, two of the bathrooms have just been tastefully updated. 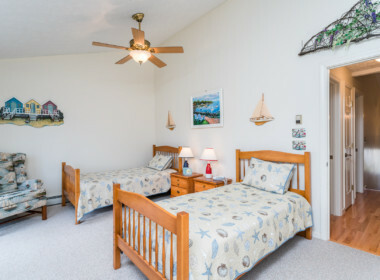 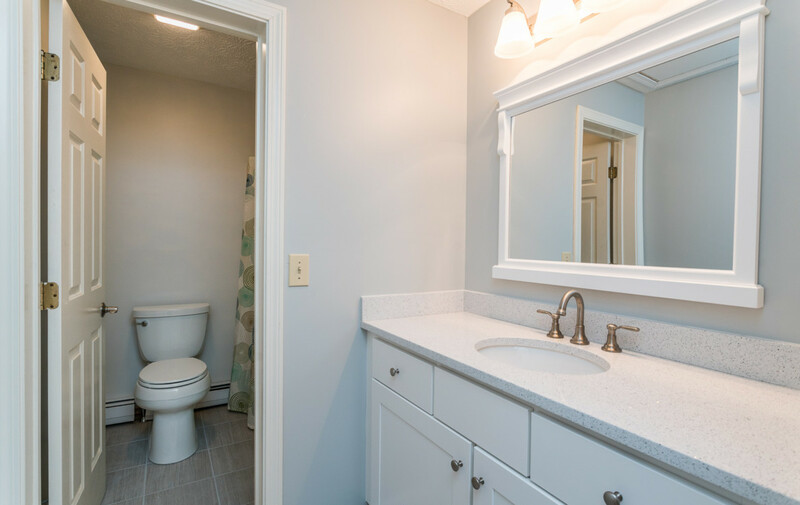 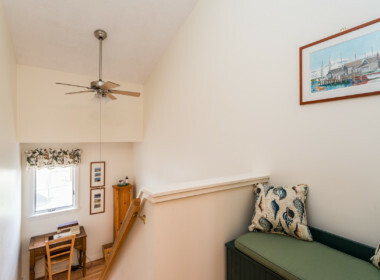 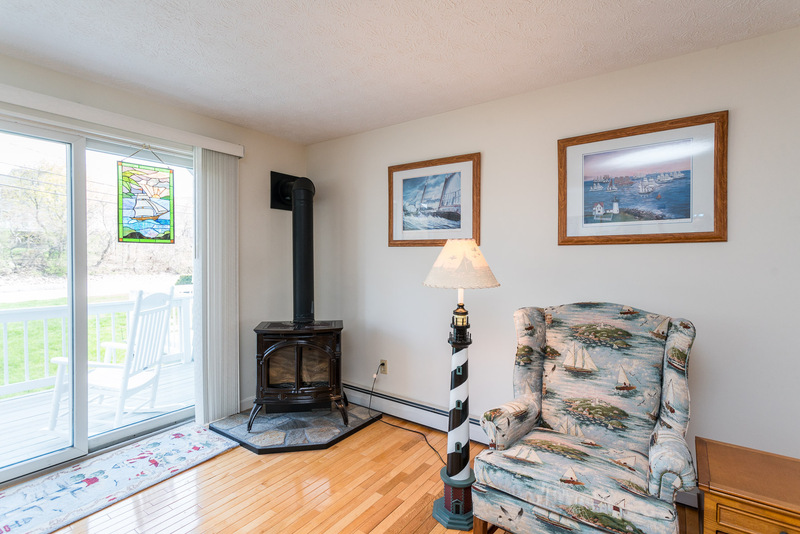 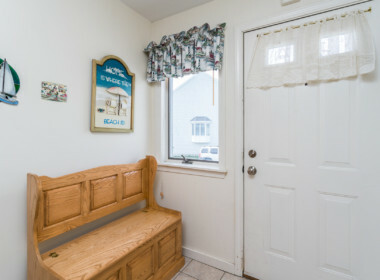 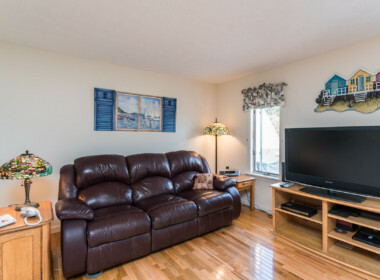 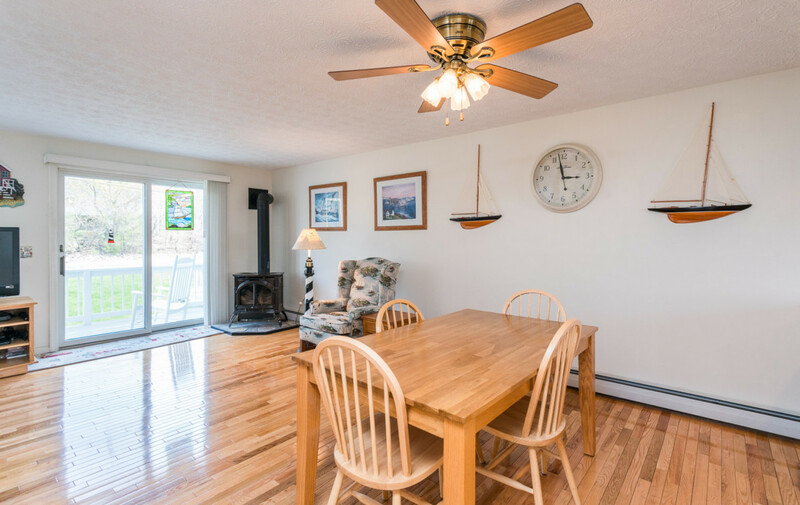 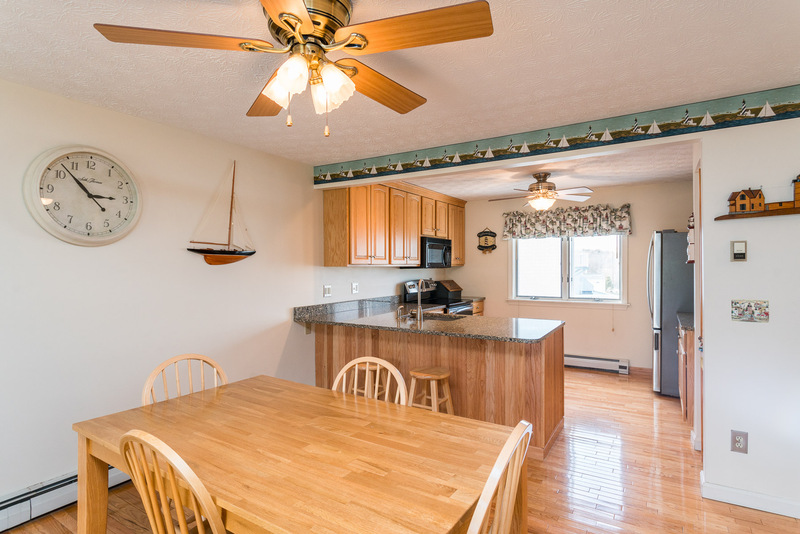 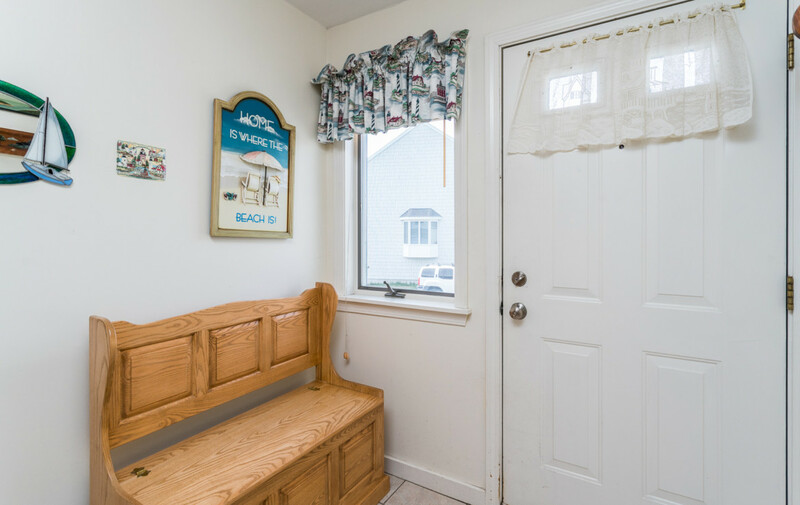 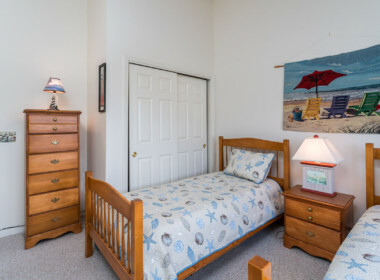 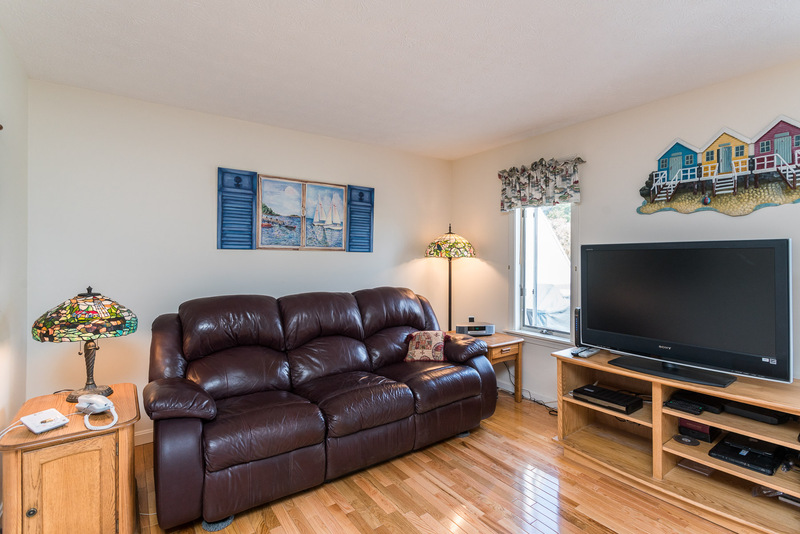 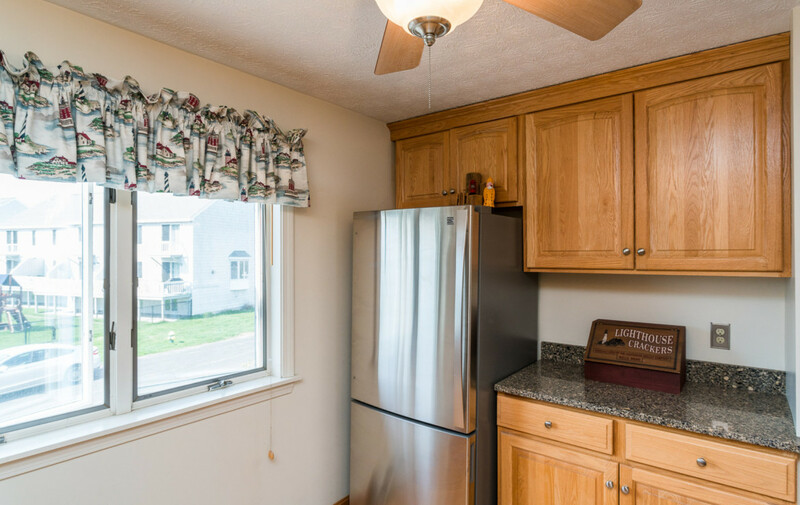 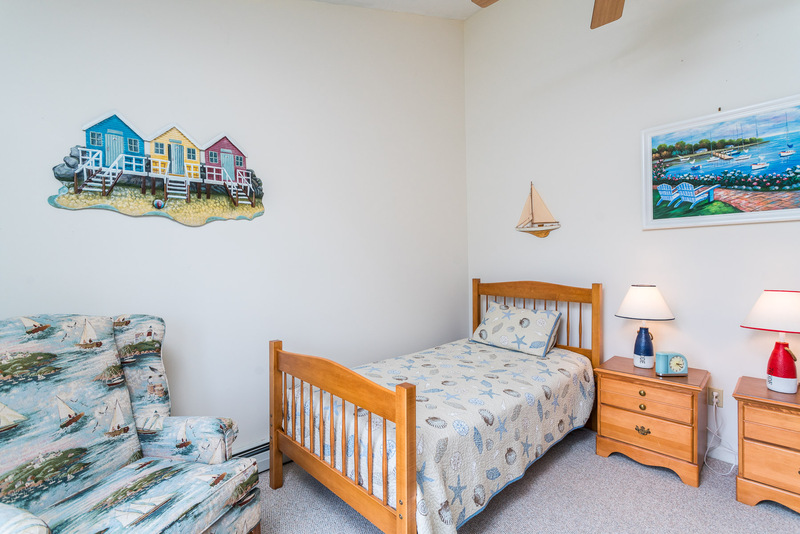 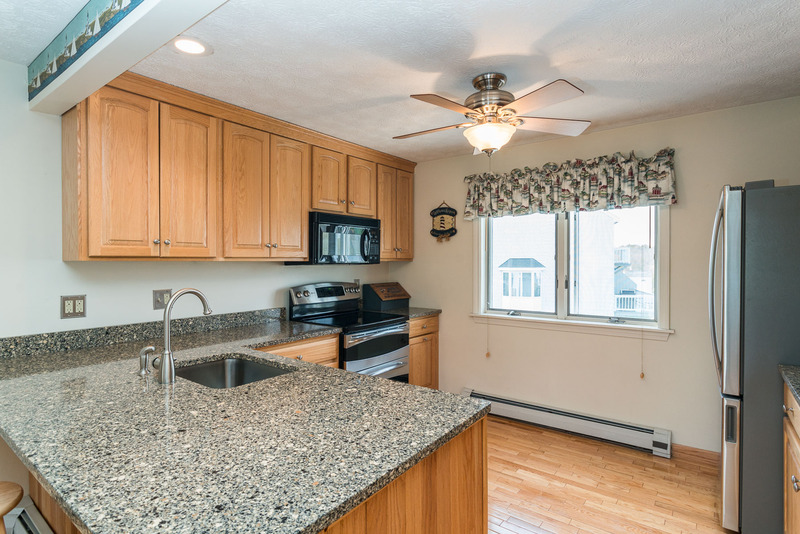 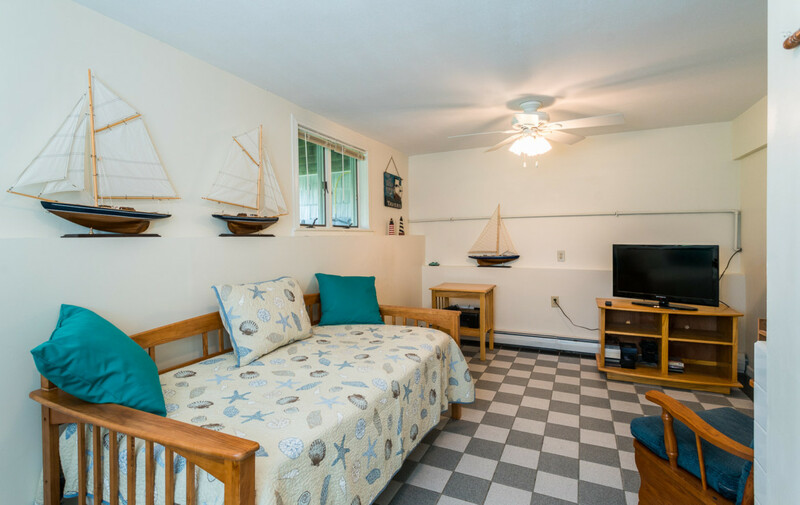 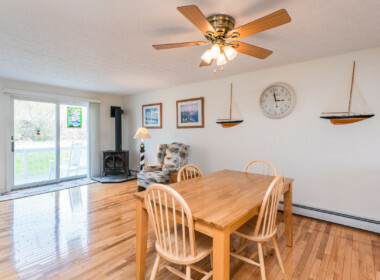 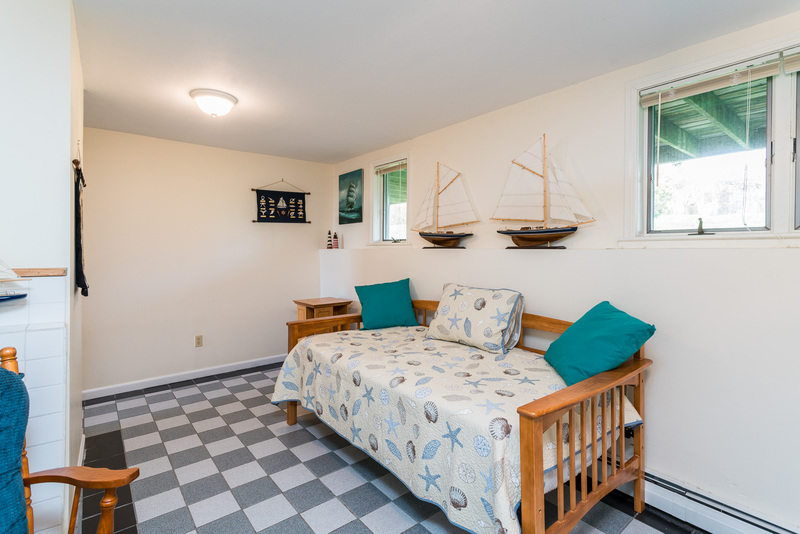 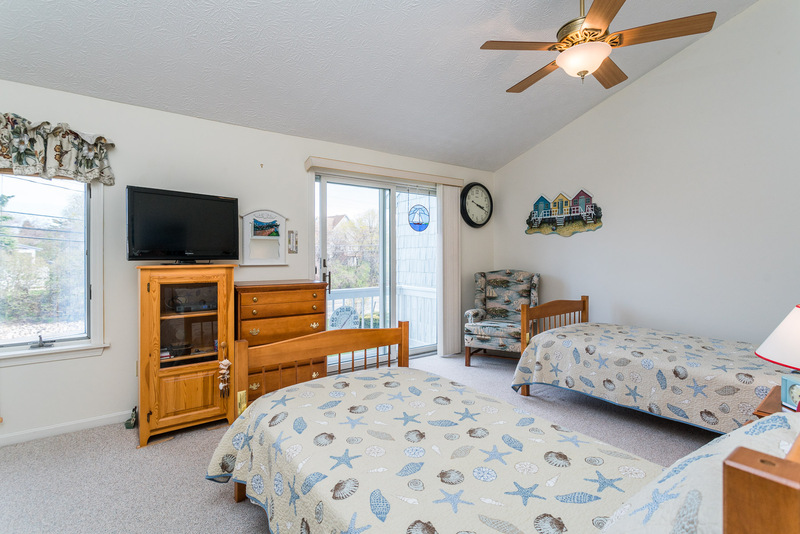 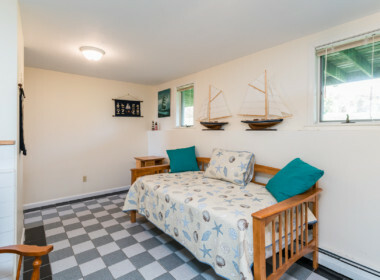 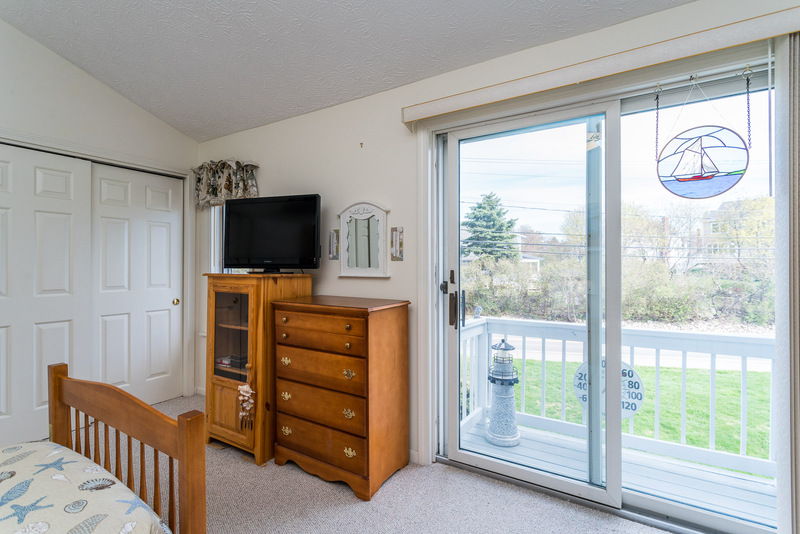 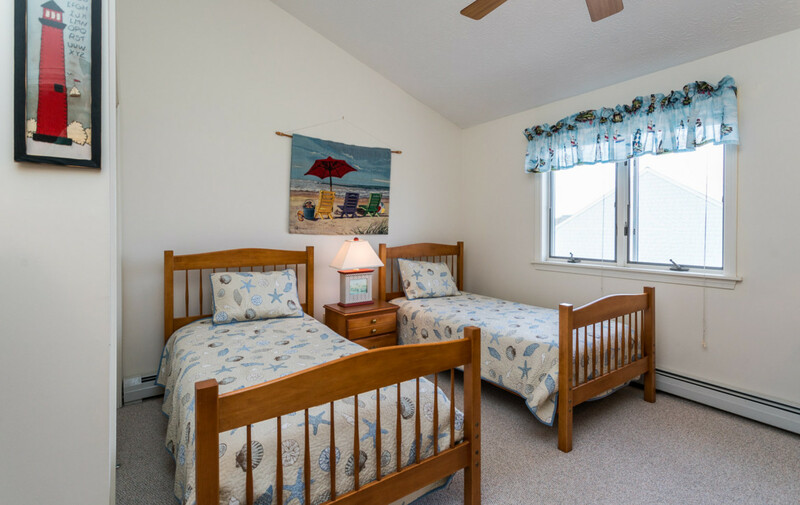 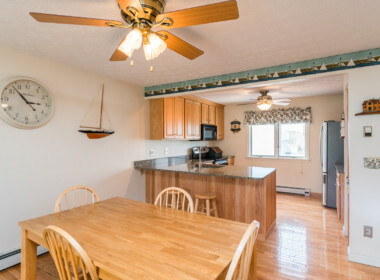 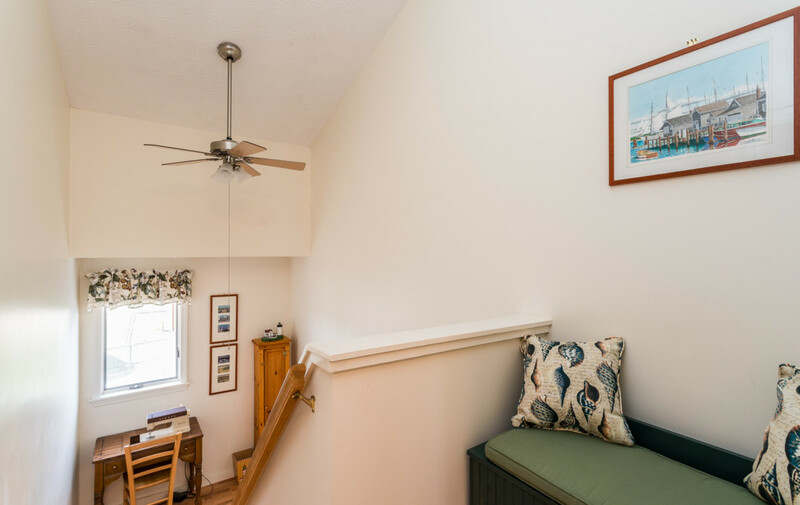 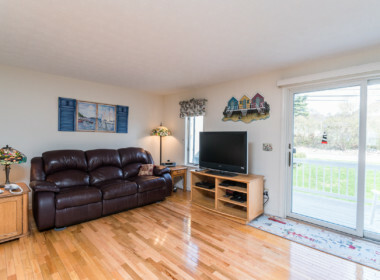 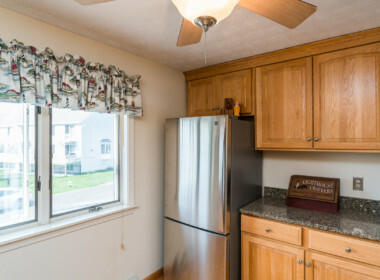 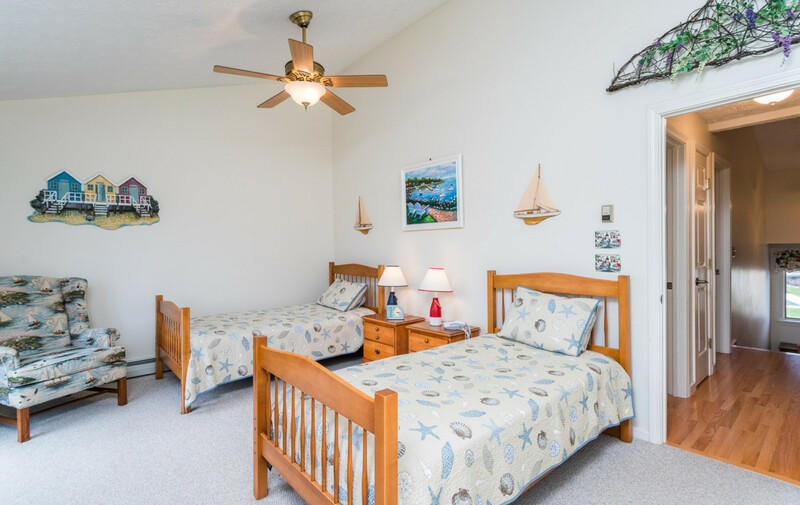 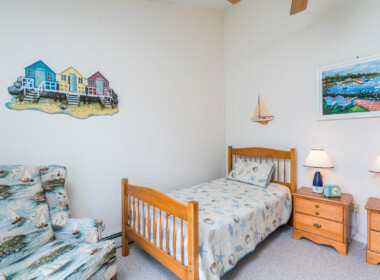 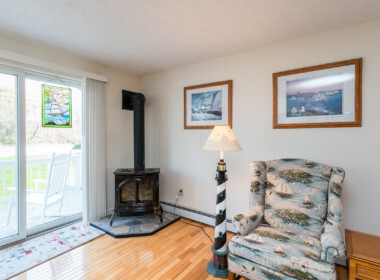 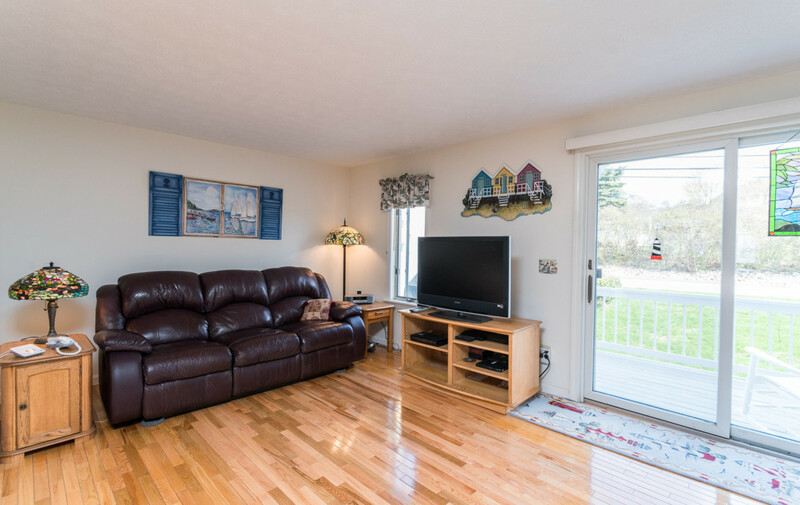 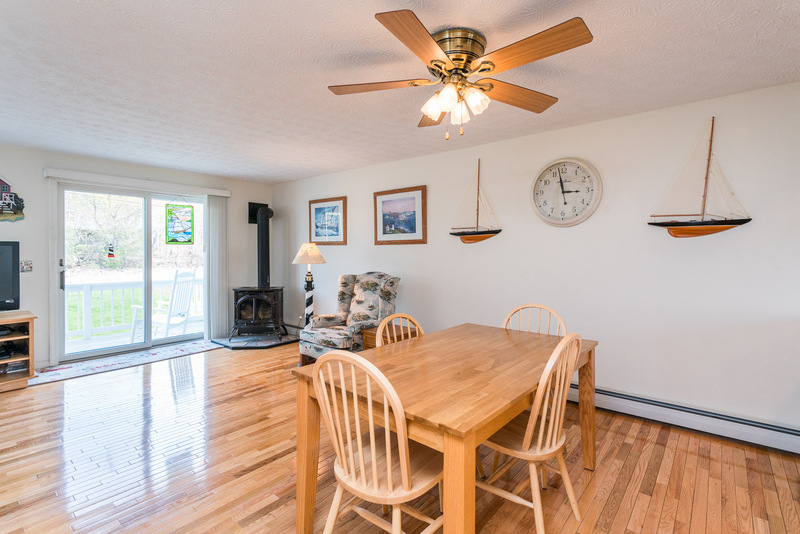 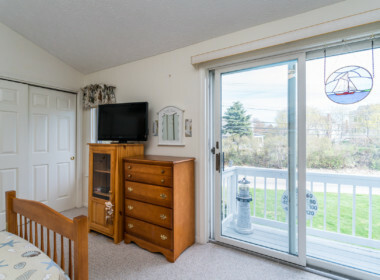 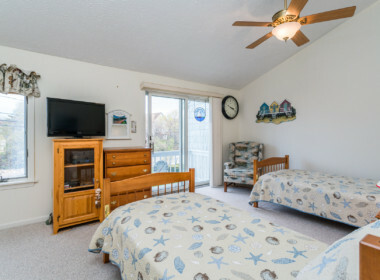 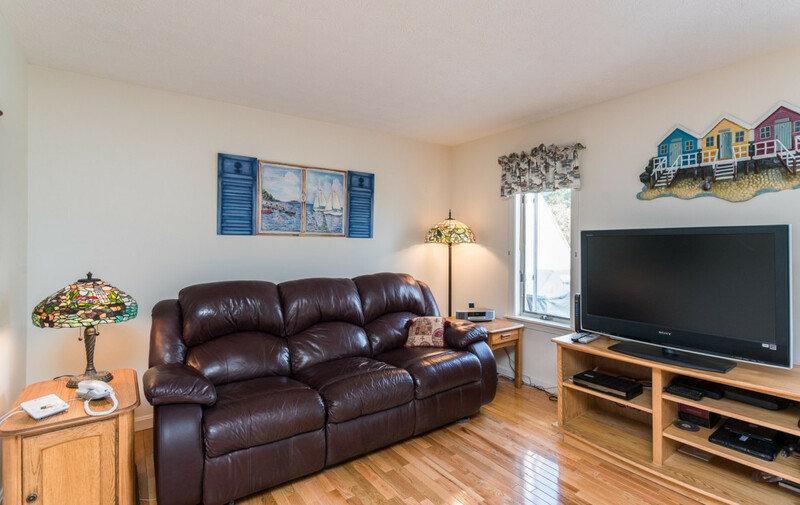 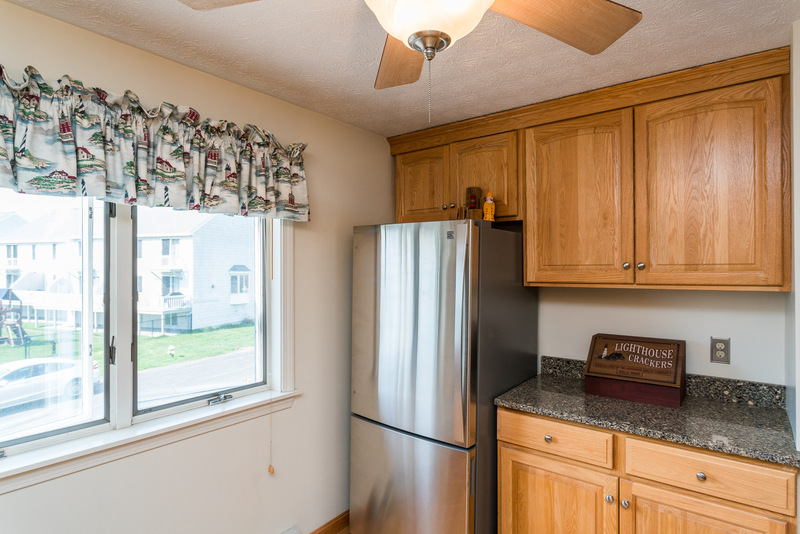 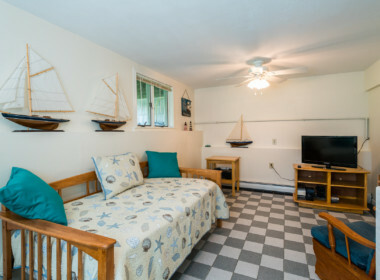 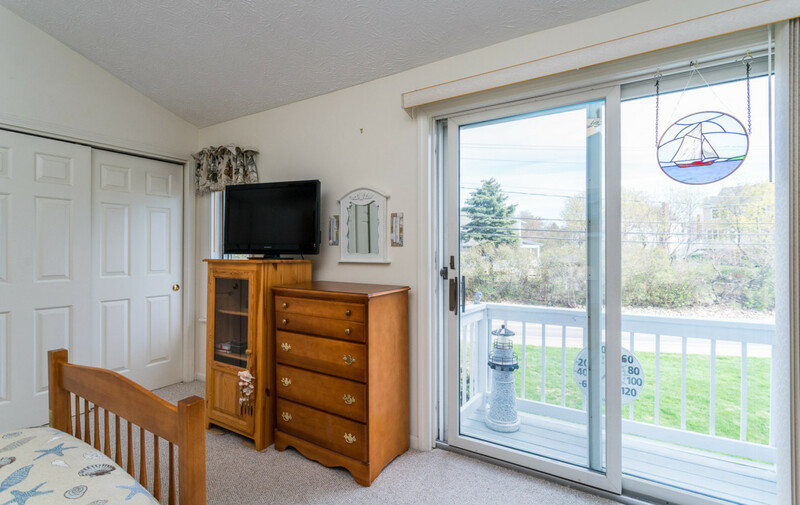 The lower level family room with the adjacent 3/4 bath can serve nicely as a back-up bedroom for all the guests that will want to enjoy the local fun and sun. 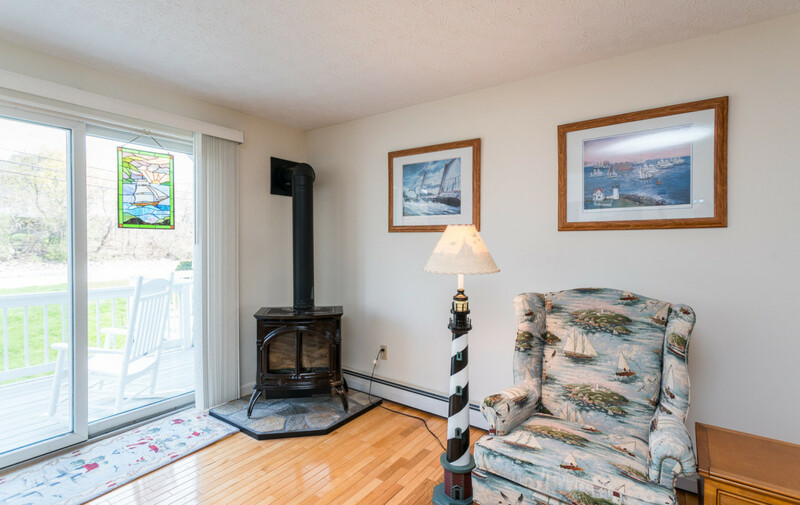 Lounge on the deck and enjoy glimpses of the ocean and the cooling ocean breezes. Take a quick walk to either beach or relax by the pool after a game of tennis, or curl up with a good book in front of the fire on a rainy day. 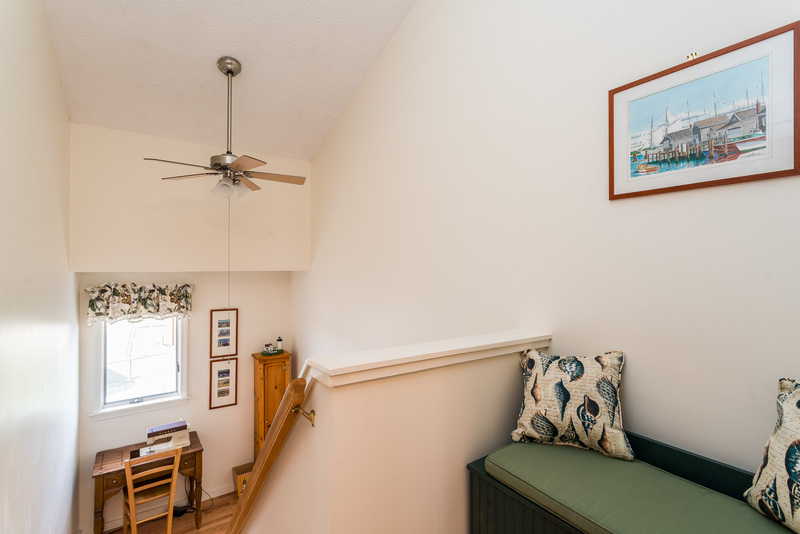 A popular tourist destination, York enjoys miles of coastline – both rocky and sandy. There are great beaches, a small amusement park and zoo, several walking paths (including the Cliff Walk and Fisherman’s Walk). 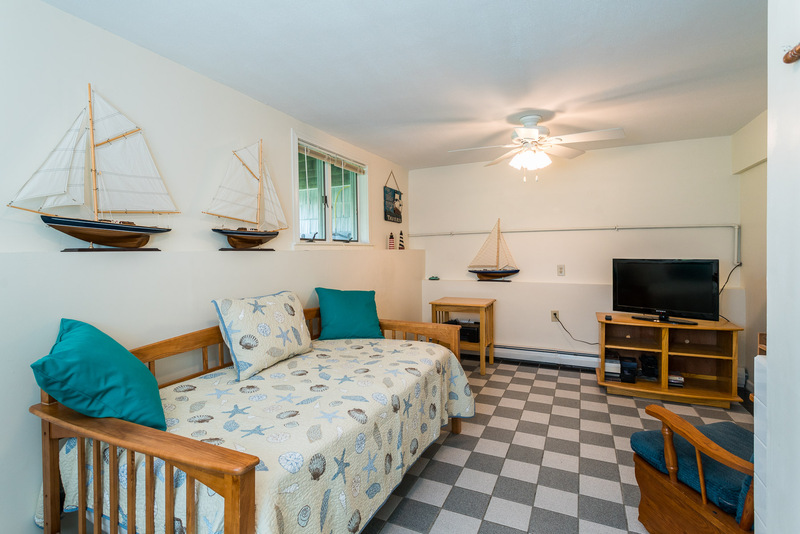 York Village with its pretty Colonial homes, art galleries and so much more is also the home of the Old York Historical Society which operates several historical buildings open to the public; tour ancient cemeteries, an old jail, a former tavern and more. 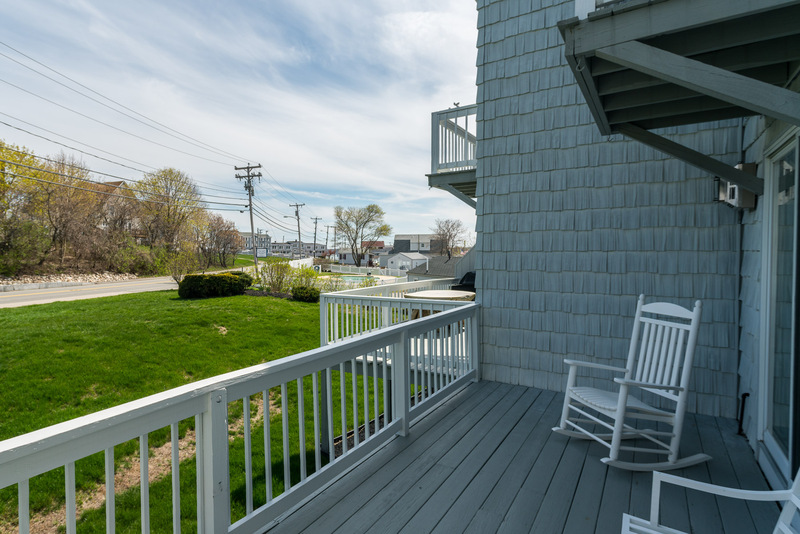 Just a short distance away is York Harbor where there is a marina, town dock, and generally beautiful scenery. 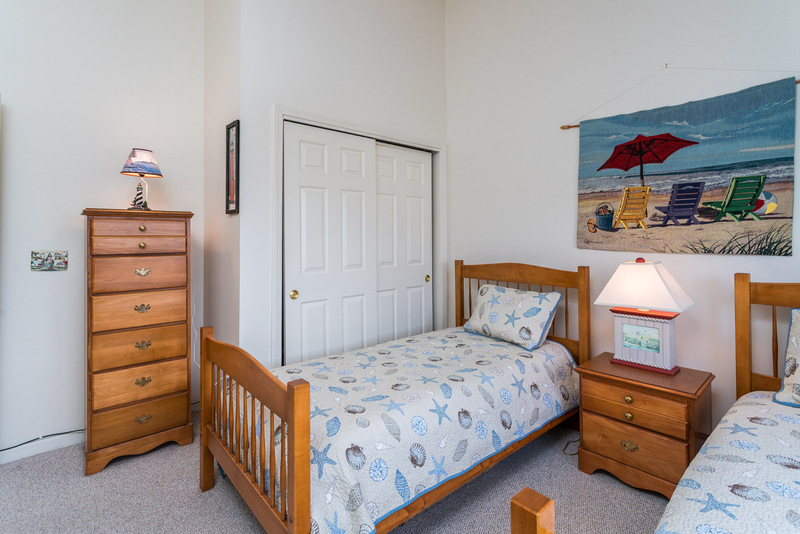 Tennis, golf, biking, hiking, fishing and hunting are just some of the options in the area. 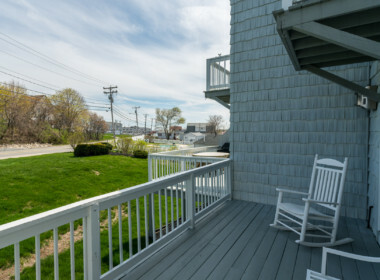 York Beach offers a different style and has nightlife, places to dine, and things to do.  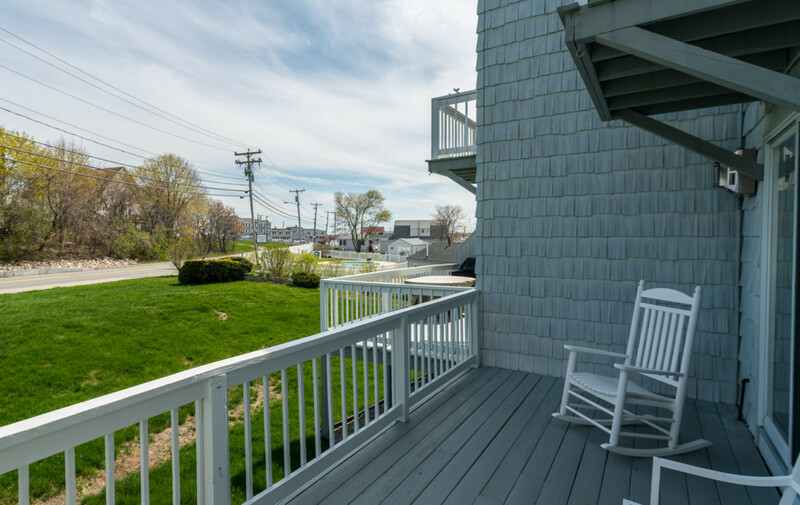 Culture is within easy reach since York itself lies midway between Boston, MA, and Portland, ME, or stroll around New Hampshire’s historic seaport – Portsmouth – just 20 minutes away.